Ghostbar is now CLOSED for renovations. Touting a fabulous view has become almost a passe claim to fame for local nightclubs. 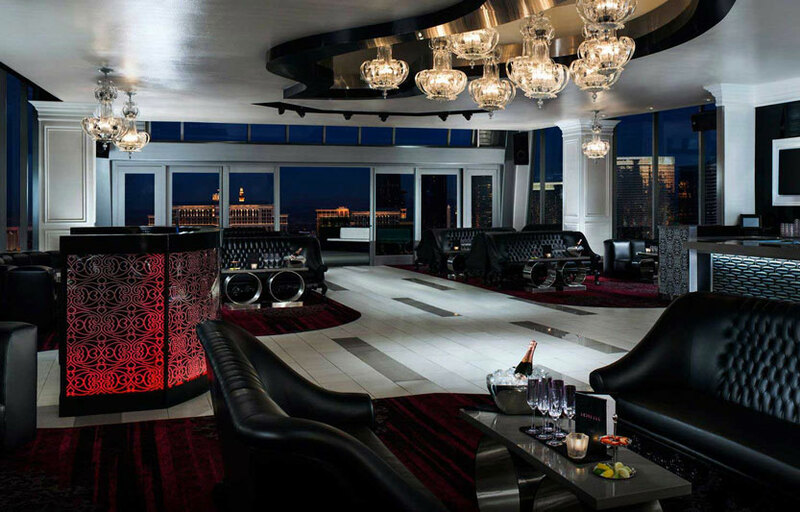 But Maloof says Ghostbar, on the 55th floor of the Palms, has the best. 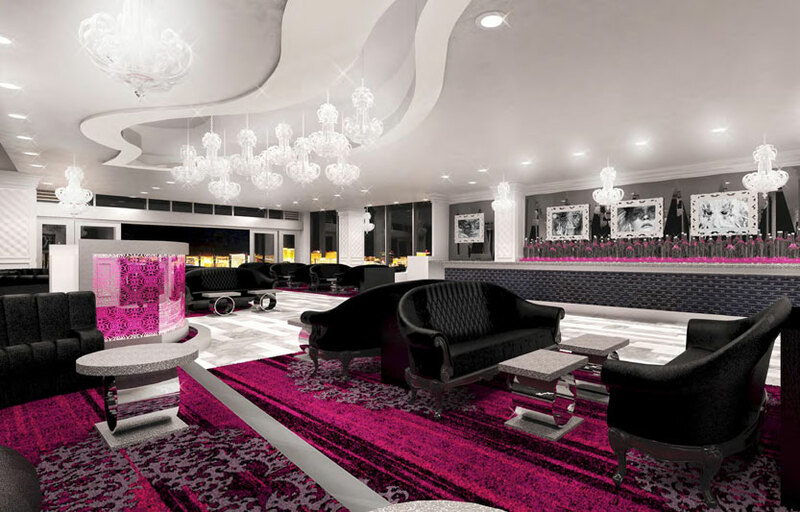 Its off-Strip location gives guests the chance to take in a panoramic vista of Las Vegas Boulevard from north to south. Then there’s the view of the hotel pool you can see by looking through the glass floor on the balcony. “It was the topic of conversation when we opened up, and people still bring friends to see that,” Maloof says. Add in the other touches — good DJs, the right music, special events — and you have the formula for a successful and popular club. Ghostbar has one of the best views in town. It has a glass-floor balcony which allows you to look down from 55th floors up. Security check is pretty strict so make sure you’re not carrying any contraband! We have a free guestlist for Ghost Bar. 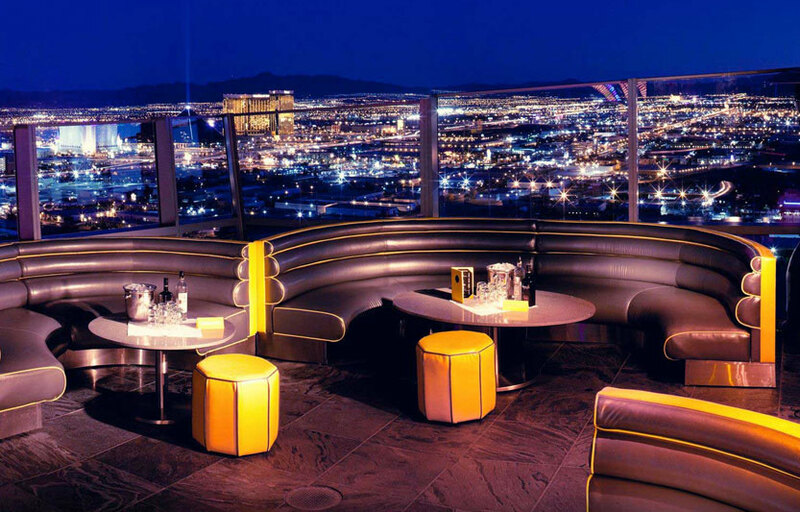 Ghostbar is located in the Palms Casino Resort in Las Vegas. 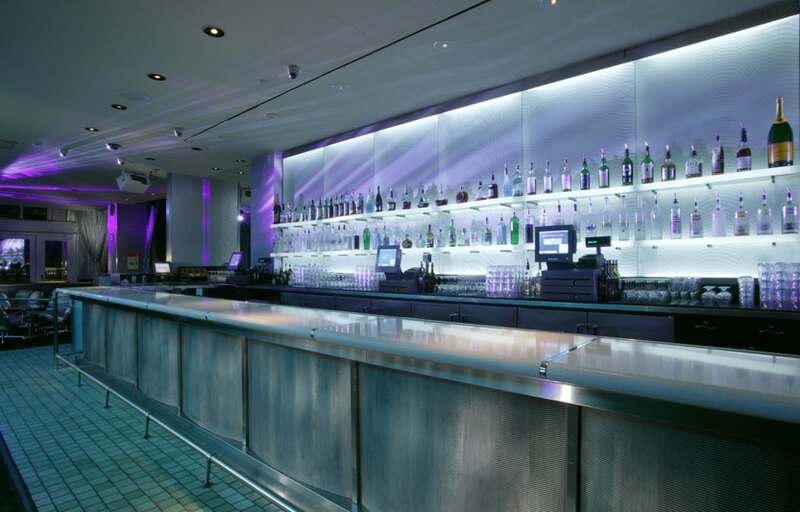 How much is cover charge at Ghostbar? 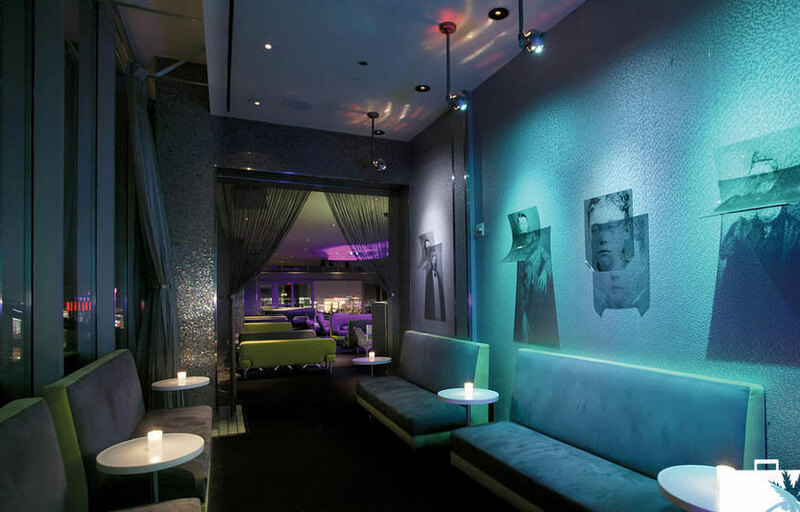 Ghostbar charges a cover of $20-40 for guys, and mostly free for ladies. How long will I have to wait at Ghostbar? Expect to wait anywhere from 10-30 min depending on when you arrive. Ghostbar is open nightly from 10 PM. What are the best nights to go to Ghostbar? All nights are good. The view is amazing. What is the dress code at Ghostbar? How much do drinks cost at Ghostbar? Expect to pay $15-20 for cocktails. What kind of music do they play at Ghostbar? Ghostbar features mostly open format. Where can I find an list of upcoming events / DJs at Ghostbar? You can download the Discotech app to see upcoming events, and book tables for Ghostbar.